Our writers and journalists are actively promoting Bitcoin news, cryptocurrency guides and analysis, new cryptocurrency exchange updates, exchange reviews, new offers, investment techniques, and much more. Keep yourself up to date with the latest cryptocurrency and blockchain news. Cryptimi delivers daily cryptocurrency news articles on Bitcoin, Ethereum, blockchain, exchanges, regulations, crypto adoption, market influencers and more. With thousands of daily new events, it gets difficult to sort out what is relevant to you and what is not. That’s where Cryptimi comes in. Our crypto enthusiast writers and journalists report essential crypto news to keep you constantly updated. A cryptocurrency exchange platform is an online website which allows the buying, selling and trading of cryptocurrencies. Not all cryptocurrency exchanges offer the same coins and services. Some exchanges might support the purchase of cryptocurrency with FIAT currency (ie. Euro, USD, GBP etc. ), while others allow only crypto to crypto trading. Additionally, these exchanges come with their own fees and restrictions. During our tests, we found out that some of the exchanges which promoted themselves as safe and secure, ended up being a scam. Finding a trusted and reputable trading source is a must when investing money which you worked hard for to get. Consequently, at Cryptimi, we set out to review cryptocurrency exchanges and to provide you with a detailed review and guide on each. Not only did we test them, but we also scouted forums, such as Reddit and Bitcointalk, browsed social media channels, asked crypto enthusiasts, asked professional traders, and also read other reviews available online, to see if other people in the crypto community experienced the same issues we did. In doing so, we are proud to say that we have managed to compile a nice list of reputable and trusted cryptocurrency exchanges. Depending on what you would like to achieve, you might require signing up to 2 or 3 exchanges. From Bitcoin price analysis to several trading and analysis techniques powered by actual professional cryptocurrency and Forex traders. Cryptocurrency prices fluctuate extensively and are extremely volatile, however, if you have collected some experience in trading stocks and analysing graphs, you are able to come up with hypothesis backed up by data. Investing money only from an emotional stand point, will most probably lead you to a financial loss. You should always first analyse how the market reacts to certain changes, so that when something similar happens, you are able to say with a certain degree of certainty how it will react again, before it actually happens. This will give you, what we call, the investor’s edge. Learning how a market reacts is not easy, but thankfully there are people who have been doing it for years and would be more than happy to share their view. From Bitcoin analysis to Fibonacci retracements, our traders do their best to cover it all. Kindly note that investors should be cautious about any recommendations given. Nothing that is stated within these article should be treated as financial advise. You should always do your own research before making a purchase. Use the information at your own risk. Just like your typical Euro/USD/GBP or any other FIAT currency wallet, a cryptocurrency wallet is a safe place to store your Bitcoins, Ethereum, Ripple, or any other coin or token. However, just like cryptocurrency exchanges, cryptocurrency wallets come in different shapes and sizes, and there is no cryptocurrency wallet which fits all. The most trusted and convenient wallets within the crypto community are the hardware wallets. A hardware wallet usually takes the shape of a normal pen drive, but by making use of security pins, pass phrases and encryption, it stores your coins safely from hackers and malicious software. Other software and application-based wallets are available as well. If you are just starting out, we recommend that you read our wallet’s guide which will help you get started. It explains the different types of wallets and why you would probably want to go for a certain type of wallet. Different types of wallets come with different advantages and disadvantages. It is worth investing a good amount of time researching what type of wallet to use before investing a considerable amount of money. CoolWallet is a mobile-based cold storage Hierarchical Deterministic wallet, launched by a Taiwanese company named CoolBitX, back in 2016. 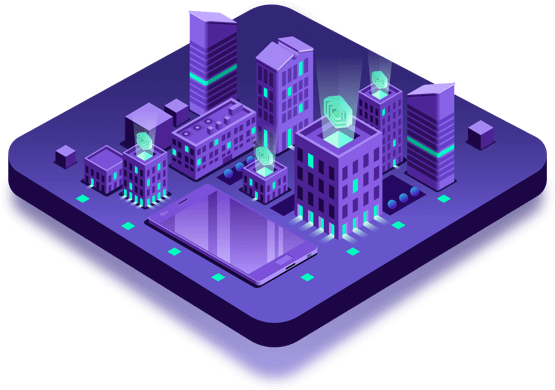 Indacoin wallet is provided by the Indacoin Exchange platform and supports a multitude of coins. It is perfect for beginners to store low amounts of crypto perform basic coin swap trading.